Product description: The Desert King's Captive Bride is written by Annie west and published by Mills & boon. 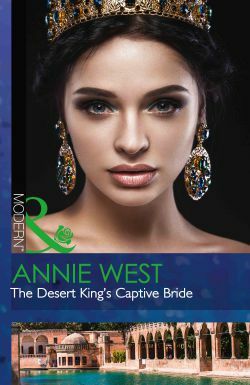 Buy The Desert King's Captive Bride by Annie west from markmybook.com. An online bokstore for all kind of fiction, non fiction books and novels of English, Hindi & other Indian Languages. USA Today Bestselling author Annie West loves writing passionate, intense love stories. She has devoted her life to an in depth study of tall, dark, charismatic heroes who cause the best kind of trouble in the lives of their heroines. Creating heroines who are a perfect match for those strong, stubborn men is one of her all time favorite things. As a sideline she's also researched dreamy locations for romance, from vibrant cities to desert encampments and fairytale castles. Annie won the Romantic Times Reviewers' Choice Award for 'Protected By the Prince' and the Australian Romance Writers' Romantic Book of the Year Award for 'Damaso Claims His Heir'. Romantic Times said in its review of The Sheikh's Ransomed Bride 'This is what a love story could be.'. CataRomance described it as '...an awesome page turner filled with sizzling sexual tension...'.